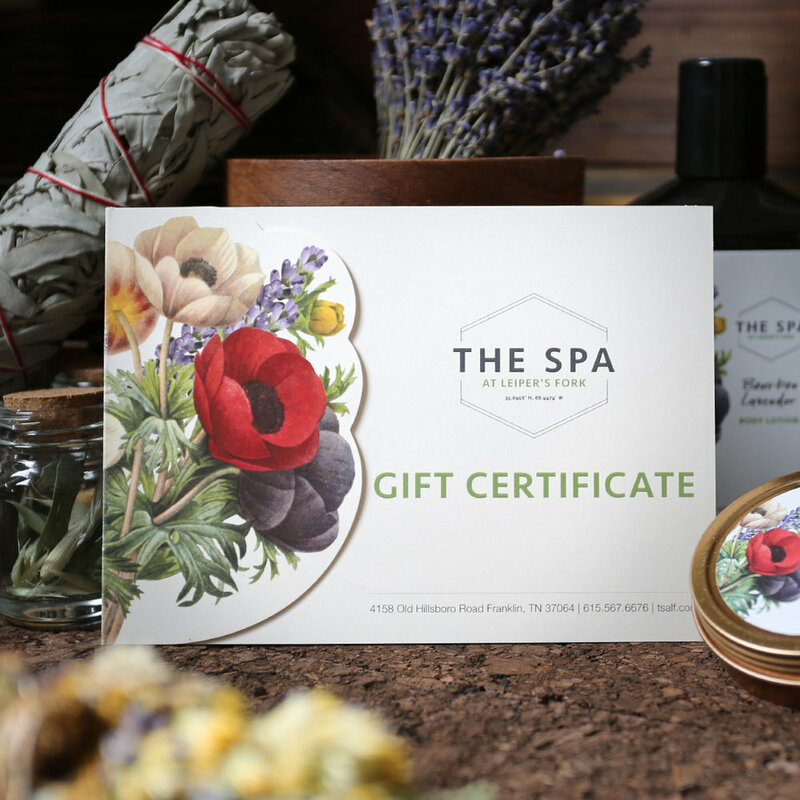 A visit to The Spa at Leiper’s Fork is a chance to recharge your spirit and reignite wellness in a place that takes you back to a simpler time, if only for an afternoon. Our tailored treatments incorporate products created exclusively for our guests, blending cosmeceutical ingredients with innovative alchemy. Customized to respond to the individual needs of each guest on that day, no two treatments are ever the same. Unplug, decompress and emerge with a new sense of wellbeing. You’ll come for an hour, but you’ll stay for the day.